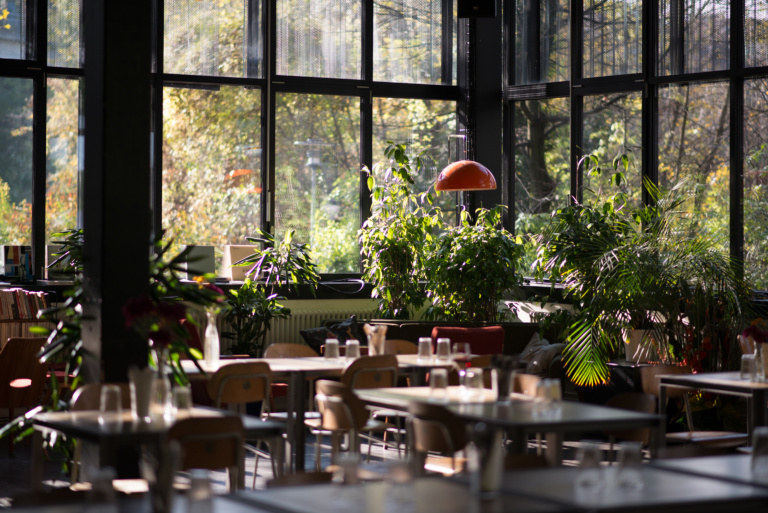 Surrounded by picture windows, in a bright and leafy setting, the Arsenic café is a diverse venue that transforms itself during the course of the season, from September to June. Restaurant at midday, meeting place before and after the shows, concert venue, reading or exhibition space, it participates in the life and conviviality of the art centre. Follow our programme to find out about our different festive and culinary propositions! From Monday to Friday, from 11:45 to 13:30, the café offers a daily menu priced at 16 CHF (a vegetarian option is available). Reservations are keenly advised, by email or by telephone on +41 21 625 11 43. It is possible, if requested beforehand, to choose an option fitting your allergies or special diet. The café is open from 6pm on performance nights, offering a variety of drinks and refreshments.On opening nights, you can enjoy a complimentary meal after the show. Every Sunday, the café opens at 3pm for relaxing afternoons hangouts with music and games. On the menu: homemade ice tea, craft beers, living wines and homemade pastries.